dedicated to "knowing Christ and making him known." Through these fellowship opportunities, we hope that the children of St. John's and the greater Florence community will feel valued and welcomed as part of our church family. Please return to our website or our Facebook page for updates on these fellowship and ministry opportunities for your children. 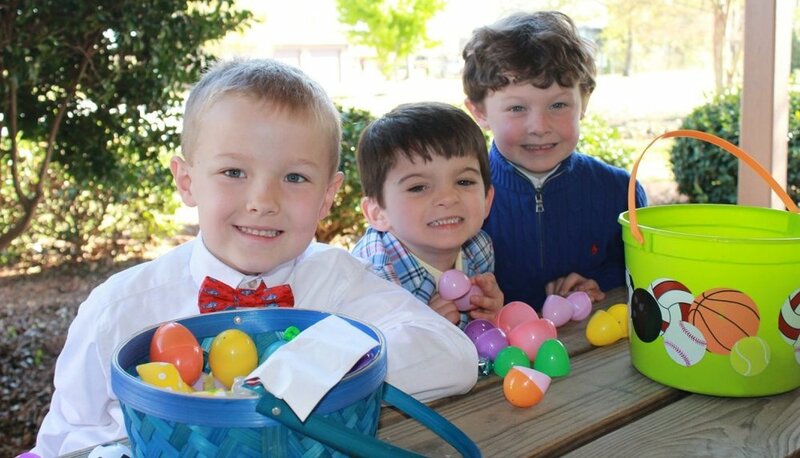 Nursery care is provided for all children under the age of three during all services and Sunday School. at St. John's is a time for our youngest members (3K-3rd grade) to be spiritually fed and worship together during the 11 am (10 am during the summer) Sunday service time. Children are invited to follow the cross out of the primary worship service. They gather with their leaders in our downstairs classroom and hear a Bible story, participate in a discussion and an activity. Our Sunday School ministry is dedicated to providing our children with a solid Biblical foundation for knowing who God is and how He loves us through the life, death and resurrection of Jesus Christ. We currently use Group's Faithweaver NOW curriculum, which follows the liturgical calendar so our families can build faith together by continuing the lessons at home. It is our goal to equip our families with the tools they need to instill faith in Jesus to their children. 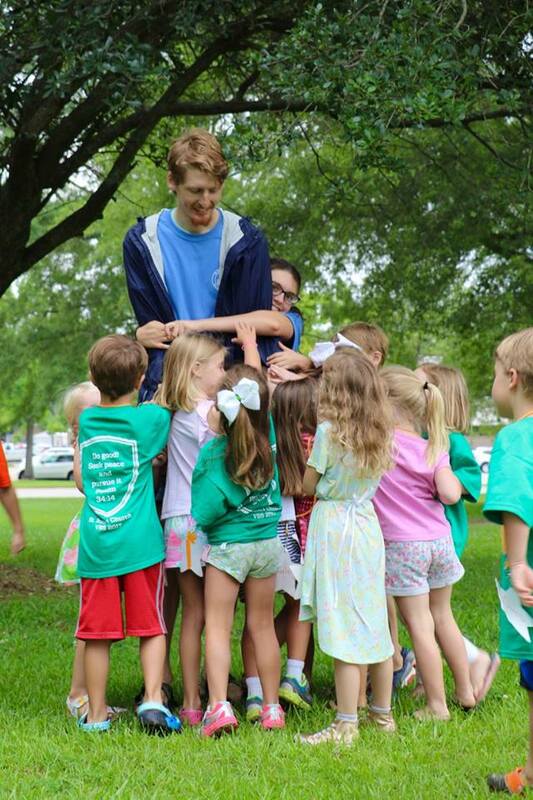 There are three main ways to volunteer with Children's Ministry at St. Johns's Church. To teach Sunday School email Charlotte Smith. To lead Children's Chapel, sign up here. Lastly, to volunteer for vacation bible school, click on the VBS Volunteer button above or below. Each of these ministries is backed up by volunteer leadership. Working with children and seeing them engaging in Biblical truth is absolutely one of the most rewarding things in the life of the Church. If you would like to join our ministry team, please contact the church office (843-662-5585). We are always looking for good leadership with our children. If you would like to grant St. John's Church permission to upload a photo of your child to the Children's Ministry page, please fill out and return this form to the Church Office.